If you are a global investor, you can’t ignore China stock markets today, especially China A Shares. The irony is that when the US stock market made a 1% movement, it will be the headline news the next day in the Straits Times. But when China’s stock market made a 5.6% return in a single day on Feb 25, 2019, the report is largely muted. Unlike the glorious day in earlier 2000, China stock is an unloved market. Most Singaporeans don’t invest in China stocks. To a certain extent, some Singapore investors carry a hatred to China stocks. 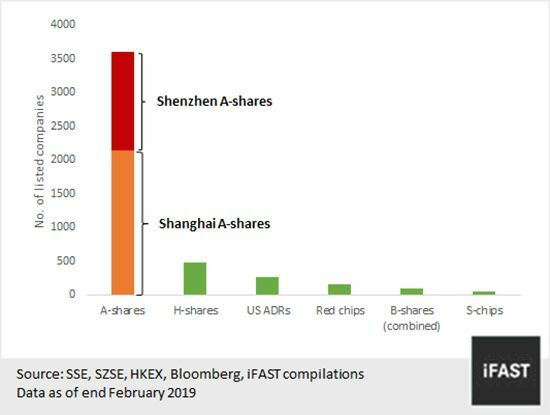 Ask those people who stay in Singapore markets for long, they can describe the boom and doom of S-Chips vividly (S chips refer to the Chinese companies listed on the Singapore Exchange). And they will tell you to stay away from China stocks. This is how retail investors fail. They fall in love with the stocks that made money (e.g. US tech stocks) and hold grudge against what failed them. Stocks are neutral, humans are emotional. This explains why China Life and China Taiping insurance face uphill tasks to promote their much superior products in Singapore. The choice is yours. Amidst US-China trade war, there is a divergence of stock markets of the two largest economies in the world. 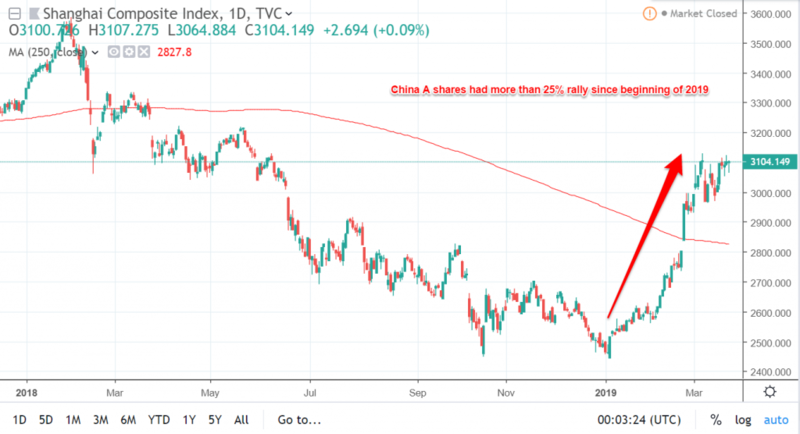 Earlier this year, I predicted that China stock market would have a double-digit return in 2019, and the Shanghai Composite index has already rallied 25% in less than 3 months’ time. To explain the rally is a big topic, I will dedicate another post for this. But in a nutshell, all stars aligned basing on my Global Momentum Compass (GMC). Technical: the 5.6% rally on February 25 broke the one-year moving average line of China’s stock market. This will attract the interest of momentum traders, both human and robots. Again, many people will say that the rally is over-done, and the upside is limited. But the same people do not seem to bother that the US market had the longest bull run for nearly 10 years. Again, it is up to you. I can’t tell you when the US market will crash or the tech bubble will burst, but the risk/reward just doesn’t make sense to me. Having said these, buying China stocks was not as simple as it seemed if you were a foreigner. For those who don’t know, China’s financial market is not freely tradable like US and Europe stock markets. It was closed and only for domestic investors. If you heard about how George Soros broke the Bank of Thailand and how Goldman Sachs rules the world, you know it was guarded for good reason. But to join the global trade, China has to open the capital markets. So China had a back door which was Hong Kong. Most investors seeking exposure to China used to get access to China in Hong Kong stock exchange via H-Shares. 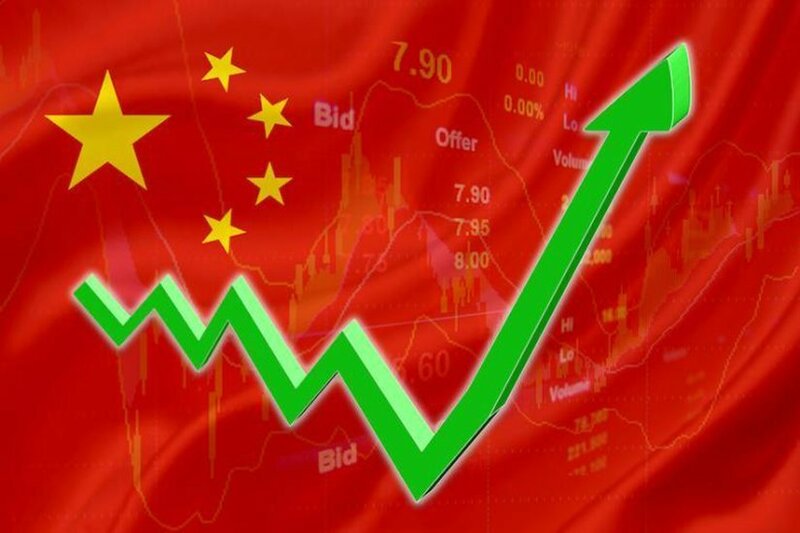 In 2014, China opened Stock-Connect which made it possible for foreign individuals to invest in China A shares. I brought this topic up in this post, which was right before the 2015 rally. In Chinese, there is a saying “肥水不流外人田” (keep the goodies within the family). So if the S-chips listed in Singapore have questionable corporate governance or profitability, it should be well expected. Even the H-Shares are dominated by financial institutions and property developers. Onshore markets like the Shanghai and Shenzhen stock exchanges offer a much larger universe of Chinese companies. China A shares represent the domestic market and are retail focused. You may be already familiar with some of the names such as Kweichow Moutai, Mongolia Yili, Midea and Shanghai International Airport. The easiest way to get access to the China market is through an ETF. There are two popular indices to track the China stock markets. China A50 index was foreign institutional investor’s darling under the old Qualified Foreign Institutional Investor (QFII) scheme. It comprises the largest 50 A Share companies listed on the Shanghai and Shenzhen stock exchanges. Unknown to many people, Singapore does have a China A50 ETF namely XT China50 US$ ETF, which was issued by Deutsche Bank and Listed since on SGX Mainboard since 19 February 2009. Unfortunately, due to lack of interest from the retail market, it was unpopular and there are days with zero transaction. On contrary, the interest from professional investors in China market is extremely hot and you may be surprised to know the only offshore Futures (for now) on China A-Share Market in the world is listed in Singapore. Every day, Billions of dollars exchanged hands in Singapore exchange for SGX FTSE China A50 Futures contract. 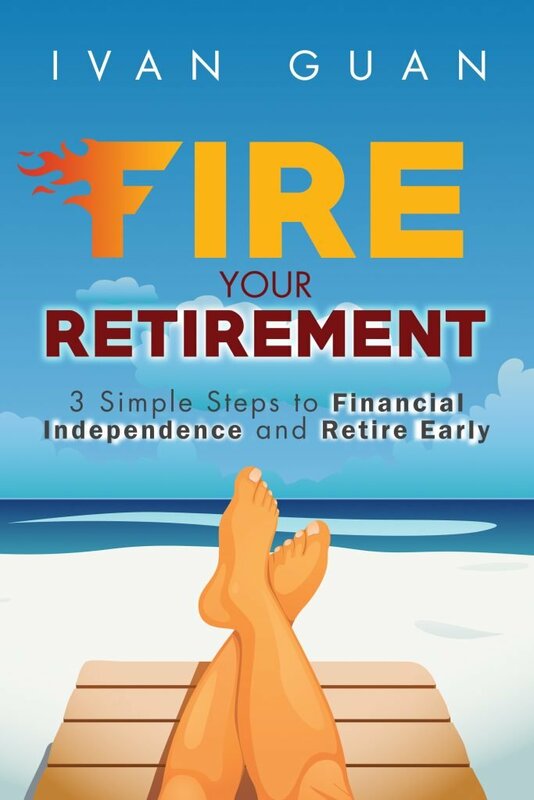 It is also one of the rare instruments which you can use to “short” the China stock markets. CIS 300 is compiled by the China Securities Index Company. It is an index to track the 300 largest and most liquid Chinese shares traded on the Shanghai and Shenzhen exchanges. There are quite a lot of options for this. The main benefit of using an actively managed unit trust fund is to explore the inefficiency of the China stocks markets. China A-share market is still dominated by local retail investors and they obviously don’t have the same knowledge and resources comparing to the institutional fund managers. Although there are many China equity funds listed in Singapore, you need to be careful that not all funds focus on China A shares. If you think you are up to the game, you can buy some of the Shanghai-listed shares directly through your Singapore stockbrokers nowadays. If you want to find out which stocks you can buy, go to this link from Hong Kong Exchange, look for the list under “Northbound Trading”. In my January investor’s update, I shared this chart. 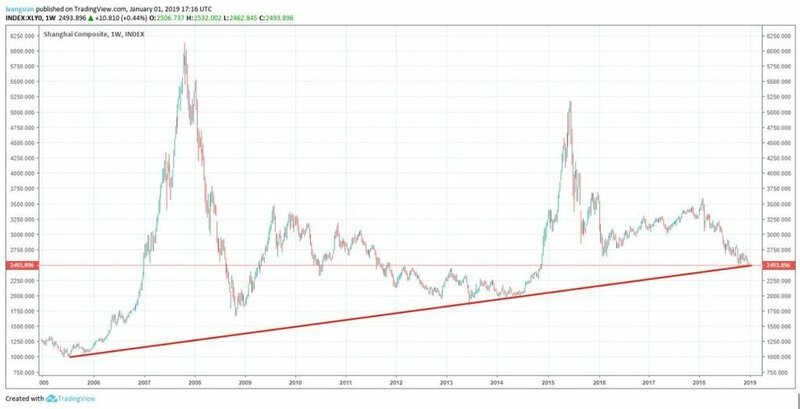 My personal belief is that the China stock market may enter a significant bull run. But it doesn’t mean that I will go all into this market. You should always stick to a portfolio approach. That is why I developed Global Momentum Compass so I won’t be carried away by such excitement. Do you have any question about investing in China stocks? Leave your comment below and I will answer them all. When listing HK ETFs does the Total China Index ETF by Vanguard not deserve a mention? Vanguard Total China Index ETF (3169) is rather new and it is not a China A-share ETF. According to its factsheet, it has A-shares 45.7%, H-shares 18.9%, P-chips 15.9%, N-shares 12.9%, Red chips 6.0%, B-shares 0.5% & S-chips 0.1%. Thus it does not meet my criteria.